Family business forms a significant proportion of all global companies. The close interplay between family business, family wealth and private equity is very complementary and a forceful, but sometimes undervalued, driver in future enhanced value creation. Private equity is a very important factor in transforming family business to catalyse growth, as a partner in the often fairly complicated transitions from one family generation to the next, or as a partner to create new shareholder structures. Business families also act as investors in the private equity asset class. Private equity has kept growing steadily over the last two decades and it keeps being a huge force in global business including in Asia and across emerging markets. Global assets under management (AUM) has reached USD 2.50 trillion as the global private equity industry has doubled in size over the past decade, rising from USD 1.2 trillion in assets as of the end of 2006. Claudia Zeisberger is a Senior Affiliate Professor of Decision Sciences and Entrepreneurship & Family Enterprise, and the Academic Director, Global Private Equity Initiative (GPEI) at INSEAD Business School. Michael Prahl is Partner (Asia-IO Advisors), Adjunct Professor of Entrepreneurship & Family Enterprise, and Distinguished Fellow, Global Private Equity Initiative (GPEI) at INSEAD Business School. Bowen White is the Centre Director, Global Private Equity Initiative (GPEI) at INSEAD Business School. 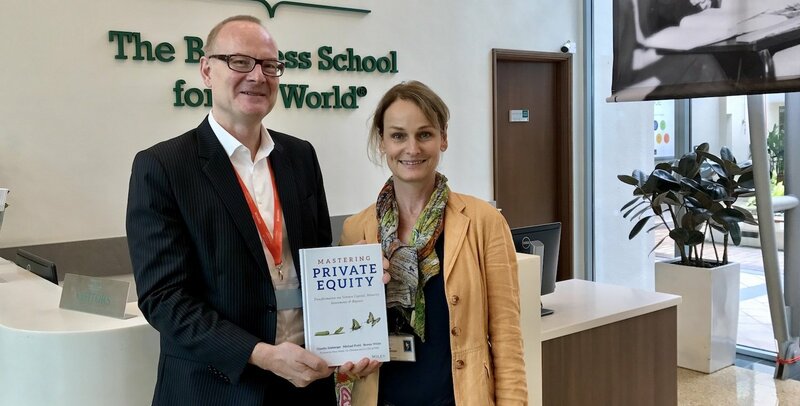 The INSEAD Global Private Equity Initiative (GPEI) drives teaching, research and events in the field of private equity and related alternative investments at INSEAD, a world leading business school. It was launched in 2009 to combine the rigour and reach of the school’s research capabilities with the talents of global professionals in the private equity industry. The GPEI aims to enhance the productivity of the capital deployed in this asset class and to facilitate the exchange of ideas and best practices.